Our 5- star rated company has been creating dynamic designs since 2006 to help our clients capture the most money for their home. Why Stage? Because you never get a second chance to make a first impression! It is reported that over 80% of buyers now use the internet to preview home photos before making a decision to visit a home! Fantastic showing photos not only draw more traffic to your home but professional home staging is proven to increase buyers perception of how much your home is worth – offering up to 10% more than had you not staged, and in as little as 1/3 the time. Plus staging can be a tax deduction as a cost of selling your home. Don’t leave money on the table – it pays to Stage! 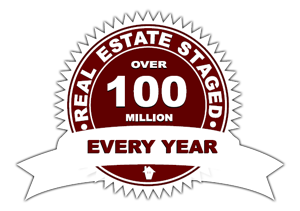 Home staging a vacant property boasts a whopping 576% return on investment and can be a tax write off! Style My Space provides the best in Home Staging and Interior Design services to help you sell your property faster throughout North Los Angeles County. We are Home Staging, Home Stager, Home Designer, Interior Designer, Interior Designing, Interior Decorator, Interior Decorating, Real Estate Stager, Real Estate Staging and servicing Beverly Crest, Beverly Hills, Bel Air, Brentwood, Burbank, Canoga Park, Chatsworth, Cheviot Hills, Century City, Encino, Flintridge, Glendale ,Granada Hills, Hidden Hills, Los Feliz, La Caóada, Mission Hills, Montrose, Northridge, North Hollywood, North Hills, Panorama City, Los Angeles, Pacific Palisades, Porter Ranch, Reseda, Silver Lake, Shadow Hills, San Fernando, Santa Clarita, Suagus, Sherman Oaks, Studio City, Sun Valley, Sylmar, Tarzana, Toluca Lake, Van Nuys, Valencia, West Hollywood, West Los Angeles, Woodland Hills, Whentka & Westwood.